1 ball left. 6 runs needed. From the final ball... Four. What a marvelous contest witnessed on the 2nd day itself of the Indian Premier League between Chennai Super Kings & Delhi Daredevils. The latter facing a defeat by just 1 run. This is the beauty of IPL & this is the reason why this tournament is loved by the masses. Both played to their level best but as they say one had to lose it. 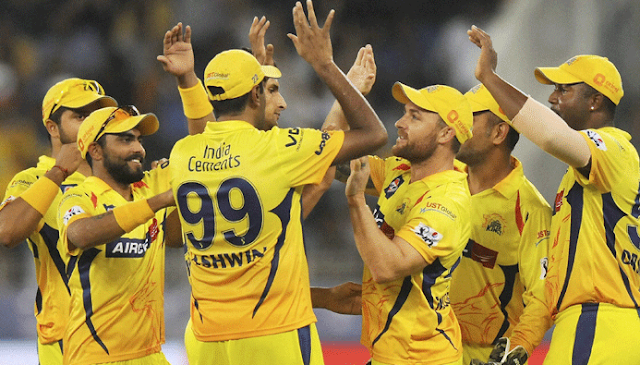 Chennai Super Kings began with the bat & the kind of start they had, 170+ score looked very comfortable. Dwayne Smith fired the ball to boundaries & it seemed impossible to stop him. But then started the magic of Delhi bowlers. 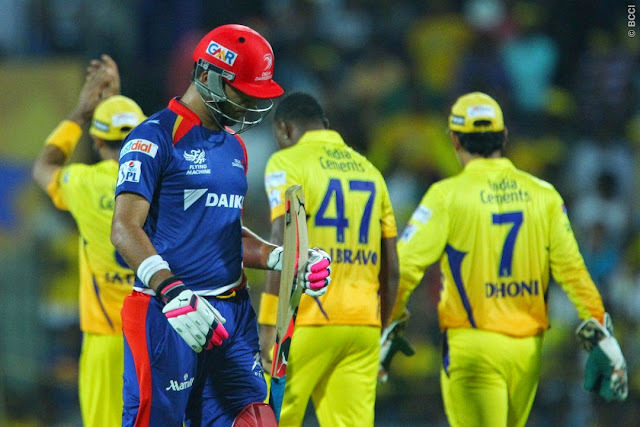 They started striking the perfect note & one by one sent back the yellow batsmen back to the dugout. 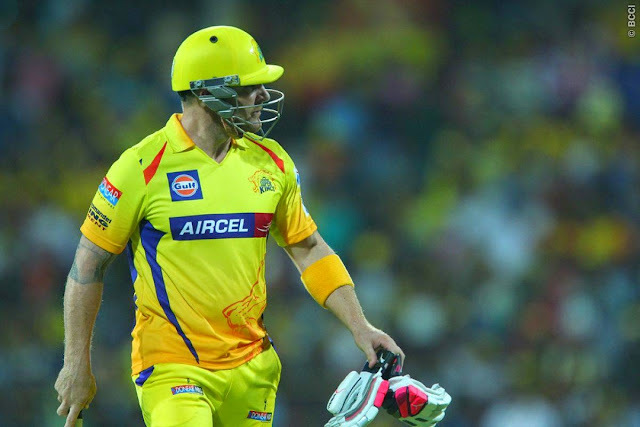 Raina, Faf & Dhoni - CSK's big guns failed to deliver dynamic knocks & in the final overs where they were expected to smash runs, they were quite cold & couldn't make the most of it. DD restricted the Super Kings to a score of 150 at Chepauk which is a commendable job. Amit Mishra, Joseph & Coulter Nile were the bowlers to watch out for. Though 151 wasn't a massive target but there seemed possibilities of CSK defending it. Till a major part of the 2nd innings it was believed that Daredevils have the edge and will win it but opposite to that happened. Their big guns failed. Yuvraj who had many eyeballs on him departed on a mere 9. Also I feel that buying him for 16 crores & sending him so down the order wasn't a good move. One man who stood throughout was Albie Morkel. He not only score the lone Half Ton of this match but also brought his team this close of the victory. Dwayne Bravo bowling the final over had tremendous pressure over him. Had that last shot of Morkel been hit a little harder, it would have been an epic win for the Delhi boys. Well, Duminy should be proud of his bowlers. Though the permutations & combinations of the DD batsmen didn't work out well which was the problem they faced last year too. Dhoni & co. get a couple of points in their debut encounter. And as for Delhi, I would say some fabulous efforts put in by them but a run costed them badly.